Poligof provides to the baby diaper market segment a full range of backsheet that covers Baby diaper producers needs. We offer Backsheet solutions with the latest and most innovative baby diaper structure. 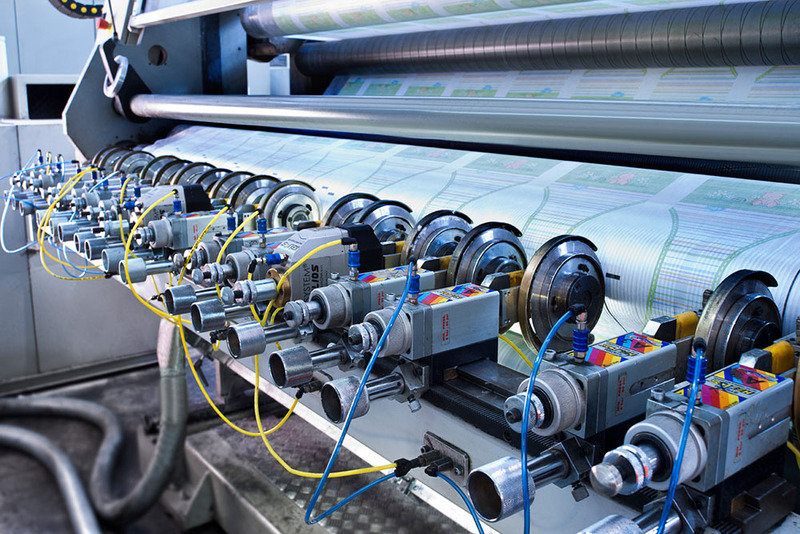 Our substrate can be customized with unique printing quality and also laminated to non-woven that provides a soft cloth-like feeling. Available with random or registered printing up to 8 colors. 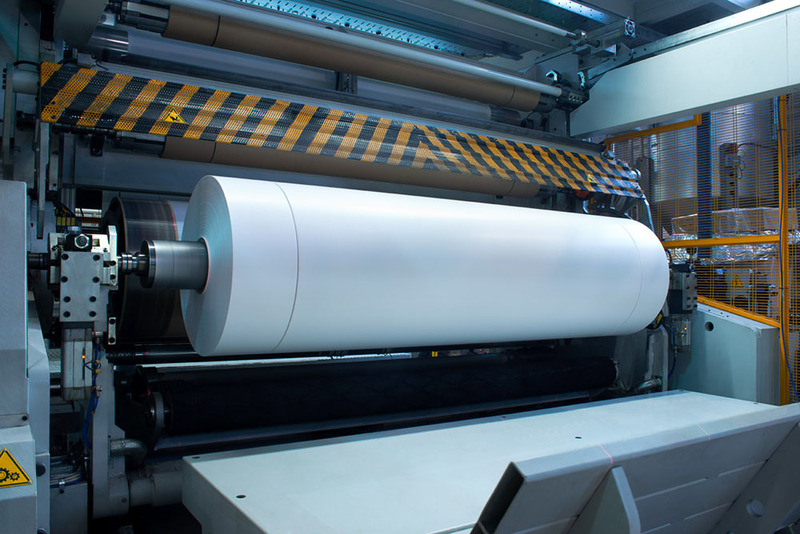 Hot melt lamination with standard or customized nonwoven. Poligof proposes a complete range of films with excellent technical performances and quality. All components in innovative sanitary napkin are designed to provide comfort, care and quality. 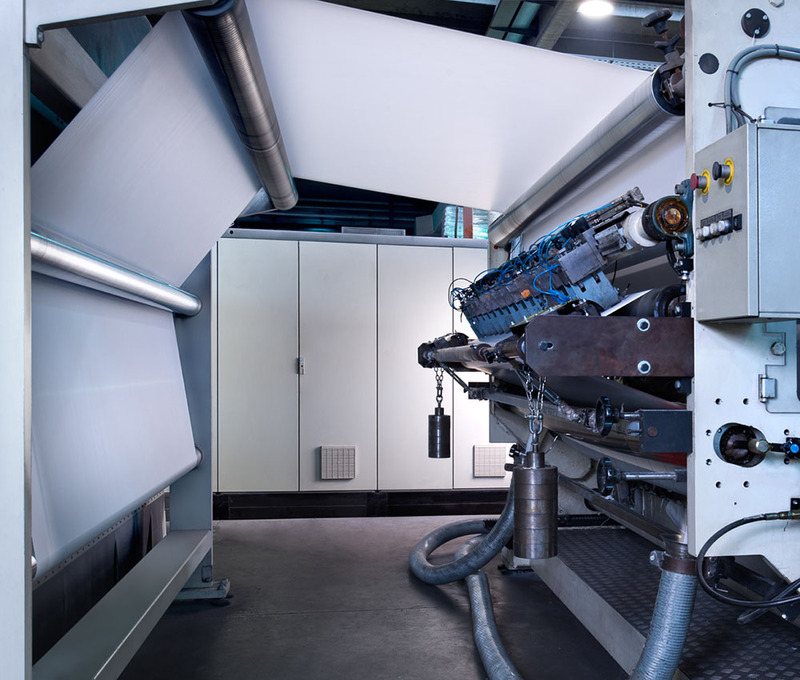 We are part of this innovation with backsheet and individual wrapping film tailored according to high speed sanitary napkins manufacturing machines. Poligof is deeply involved in the most attractive an innovative grooving market that boast every year a continuous and steady growth. Life expectancy is higher than in the past and seniors are still playing an active role in modern society. 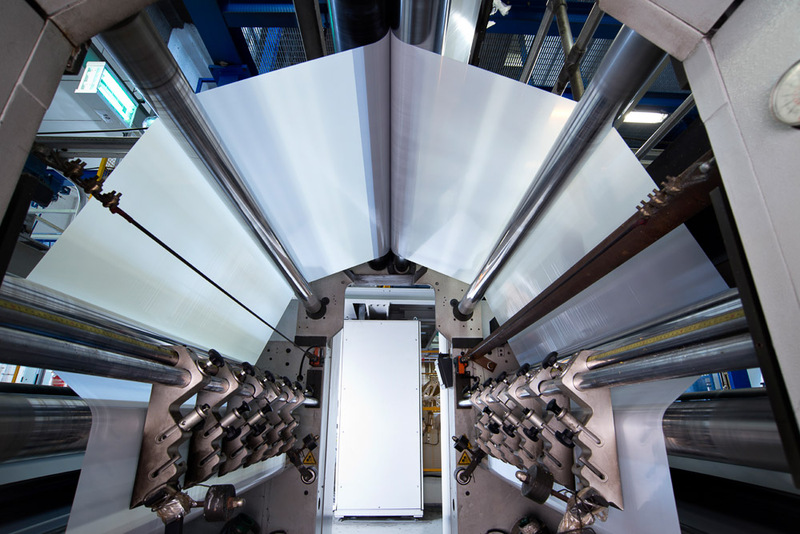 In partnership with our Customers we are constantly developing new backsheet quality. 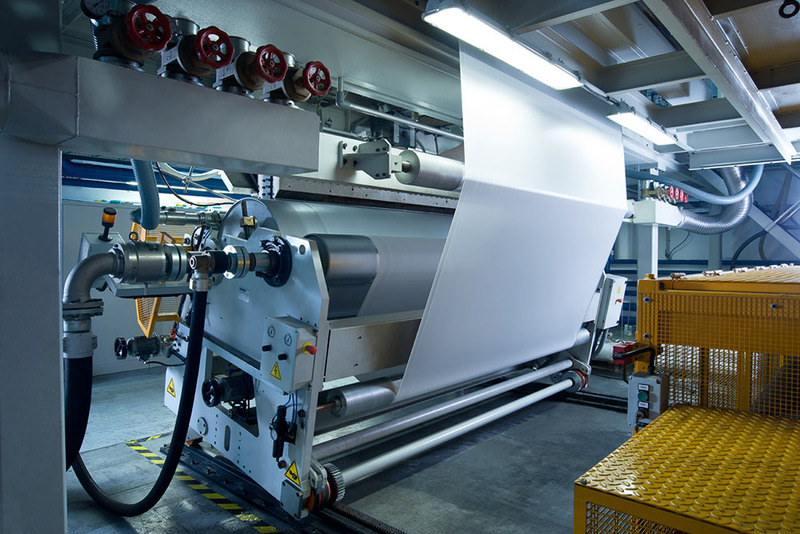 Poligof supplies films for absorbent pads flat or trifolded . 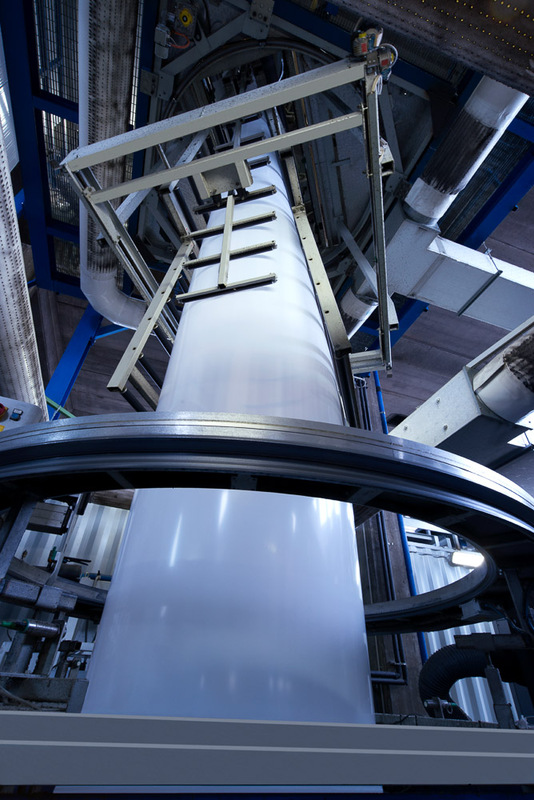 Blown film technology is used in order to achieve mechanical properties combined to low grammage. 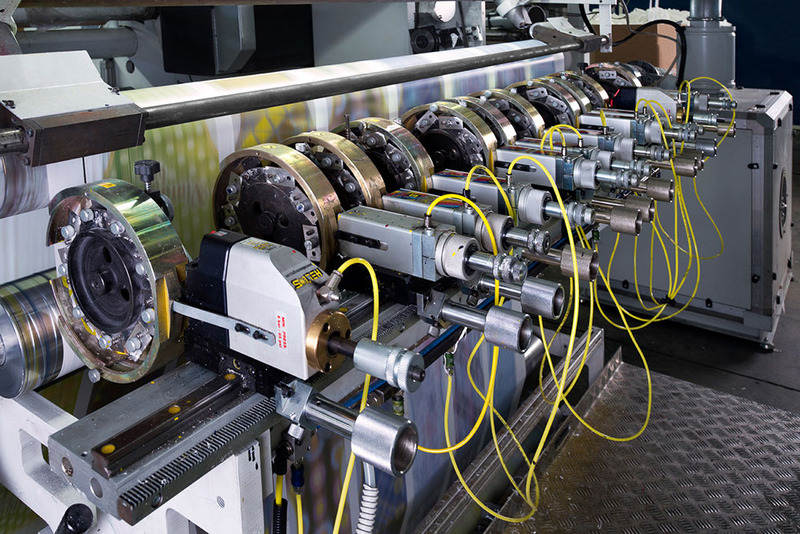 Tailor-made coefficient of friction is required in order to fit production machine requirements. 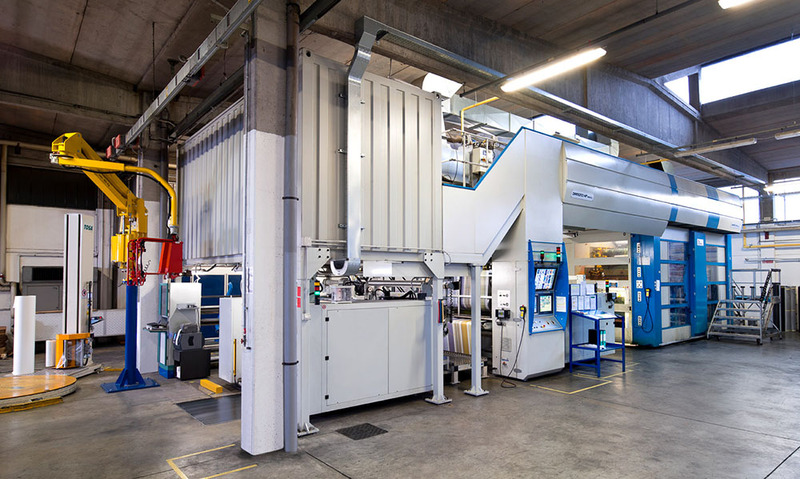 Cast film process involves the extrusion of first quality polymers melted through a flat die to form a thin, molten sheet or film. This film is laid down to the surface of a water-cooled chill roll. 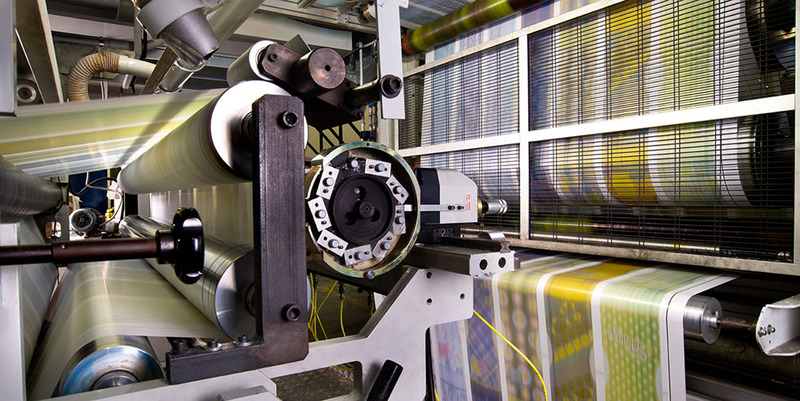 The film quenches immediately and then has its edges slit prior to winding. 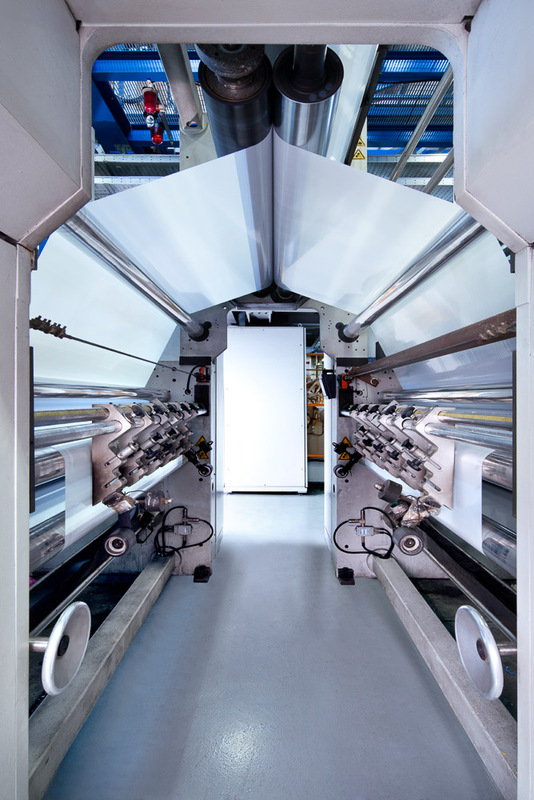 In case of breathable film a machine direction stretching unit provide the required film breathability. 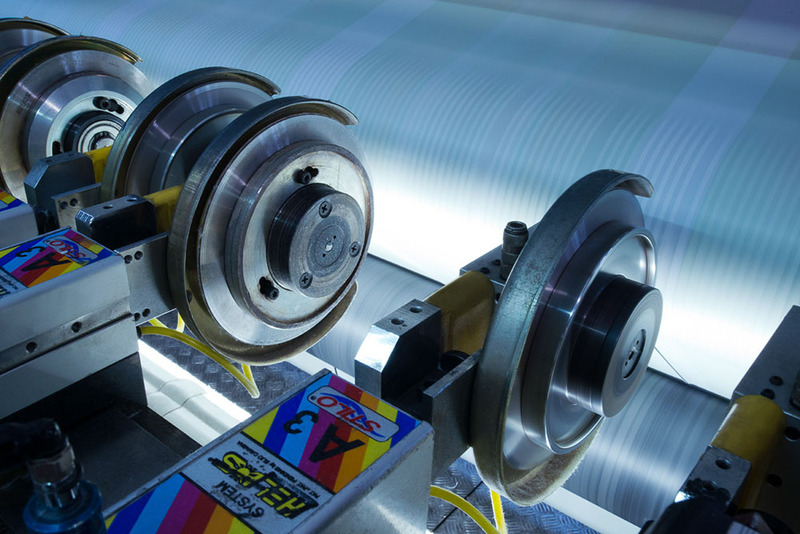 Blown is with Cast film technique one of two principle processes used to fabricate film products. 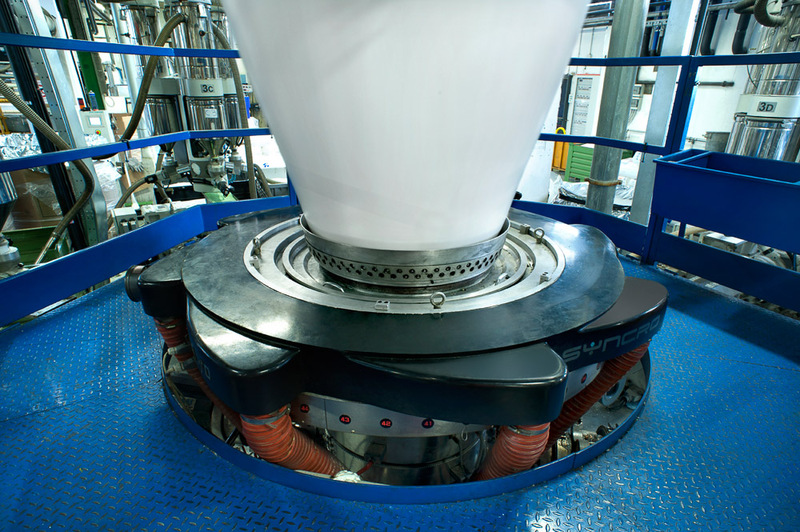 Films are melted through a circular die and immediately after inflated by air to obtain a wide blown air-cooled. 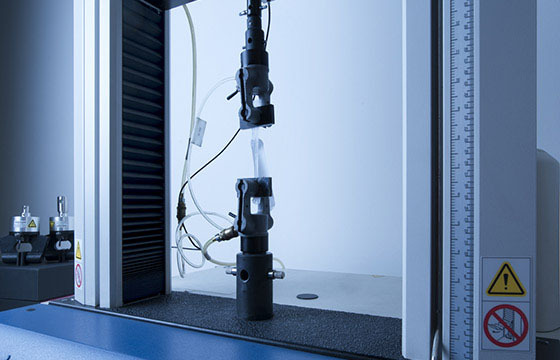 With this extrusion technique is possible to obtain very complex multi-layer structures according to customers requirements. 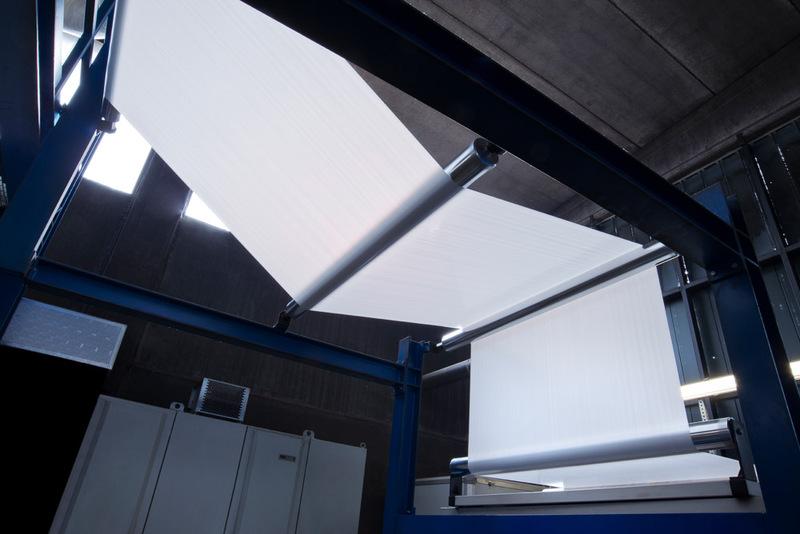 In case of breathable film a machine direction stretching unit provide the required film breathability. 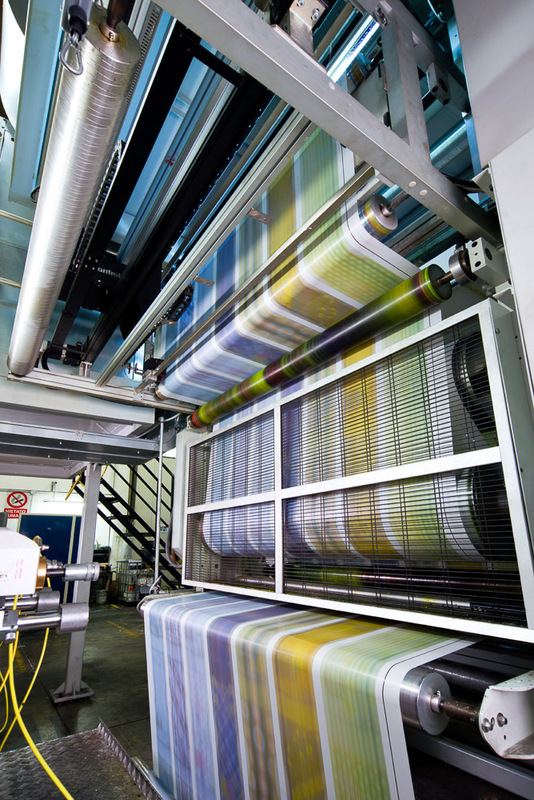 State of the art Central impression flexographic printing press represent the best solution to print up to 8 colours our films. 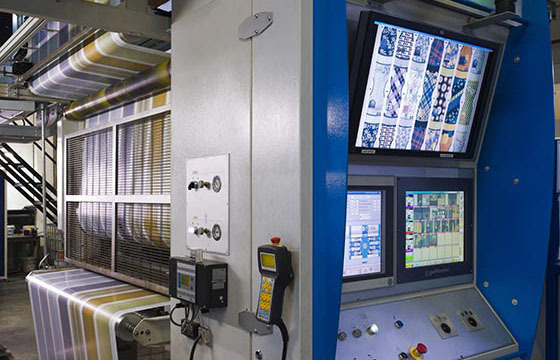 In line printing controls grant precise execution of the design created by our Customers. 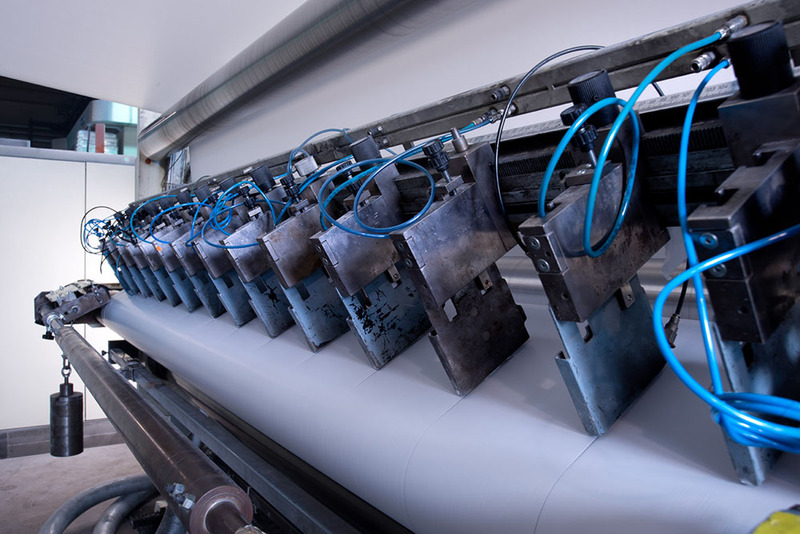 Water base inks are used since years to protect the environmental and avoid solvent retention in the printed end products. 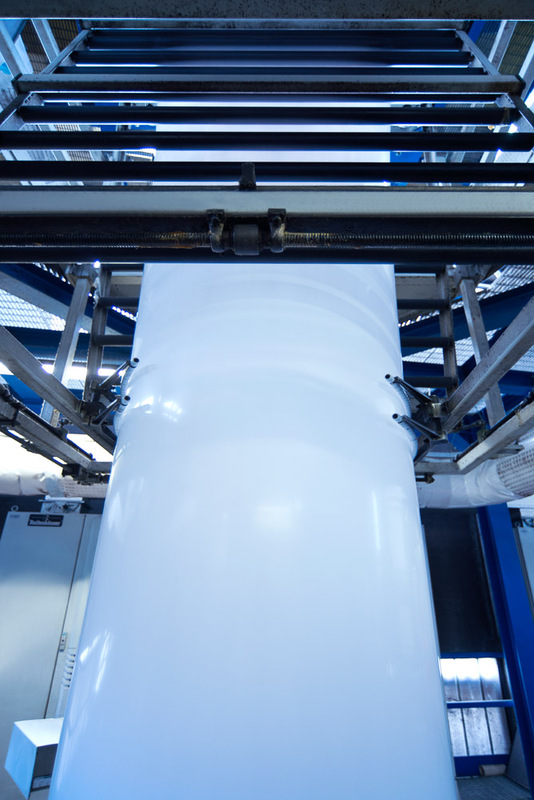 Hot melt adhesive lamination provide the flexibility to combine specific nonwovens typology to our film. 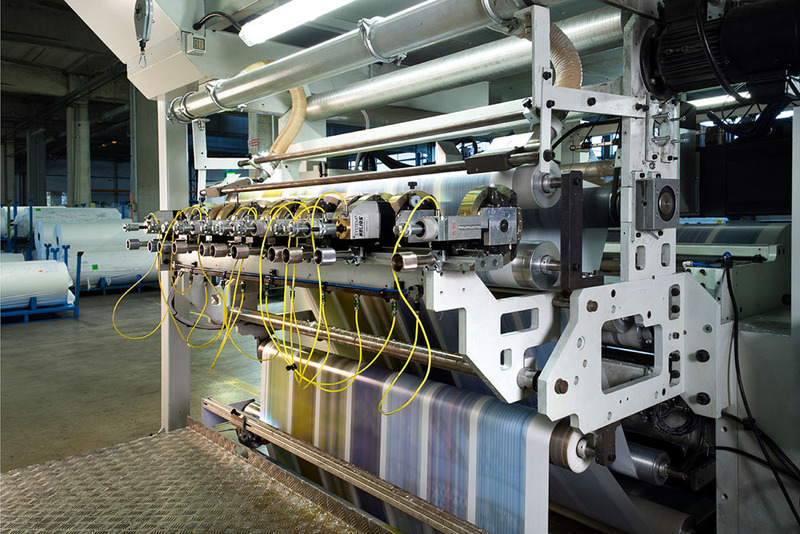 We could easily change films or nonwovens to manufacture tailor made laminates according to Customers request. 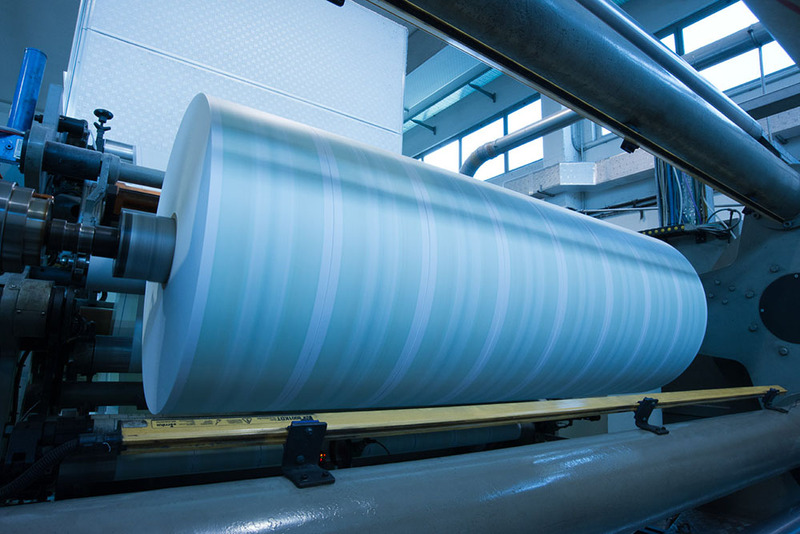 Our lamination equipments grant the needed bonding between the two layers but we could keep the original softness of the non-woven fibers. 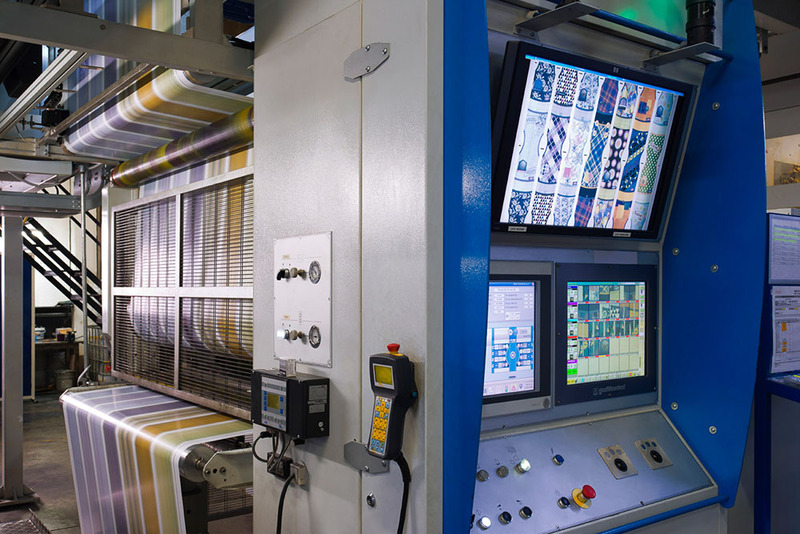 It does not matter if we consider Production or R&D or Customer Relation, we always consider Quality as a global concept that is inside our daily activity. Quality rules are part of all our Company procedure. We continue to make significant investments in training our employees. We want employees to fulfil their potential and have the opportunity to develop their skills. Our employees are always solicited to propose solutions in order to achieve the best possible quality level. 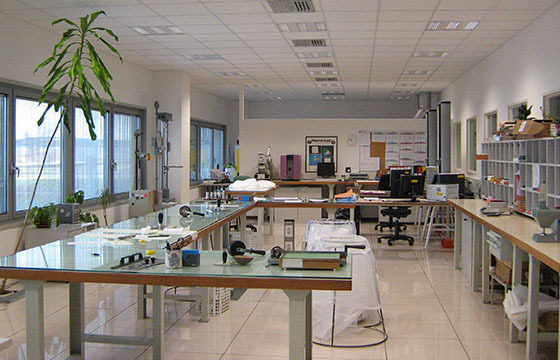 Our Quality system complies to UNI EN ISO 9001:2008. We, at Poligof are committed to continual improvement in our environmental performance, prevention of pollution. 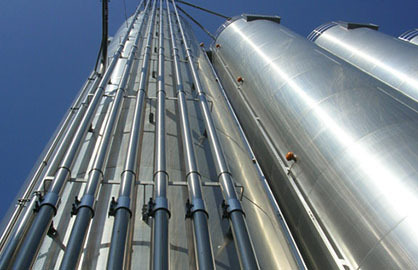 We provide better environment by reduction in material and resource wastage, strictly adhere to environment legislation. 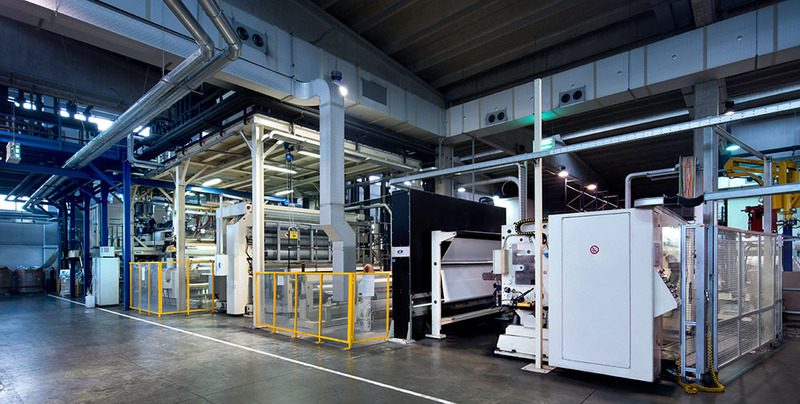 Since years we are using in our printing plants water base inks and adhesive without solvents and we are continuously scouting innovative technologies in order to reduce the environmental impact. Continuous training is given to our workers in order to grant the right production practices. Our employees seriously work hard to ensure that Poligof's products are manufactured, stored, transported, used, disposed and recycled in a manner that shows high regard for human health, safety and environmental conduct. We require workers to wear personal protective equipment, such as protective gloves, goggles and shoes to prevent injuries. 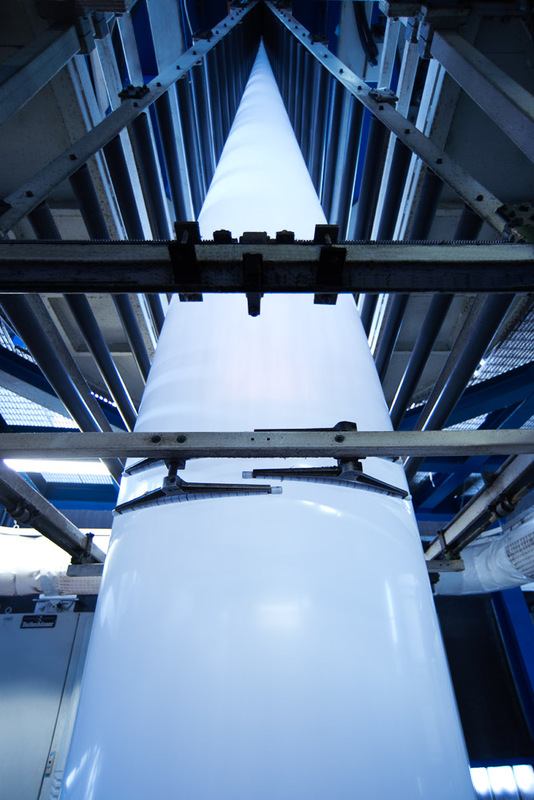 Poligof is a leader in backsheet for hygiene disposable products. Our policy is to meet the present and future needs of our Customers globally, across business segments. Based on unique Customer understanding, we create innovative, high quality solutions brought to the market in a flexible, cost-competitive structure. Economic growth and the well-being of society are indissolubly linked to a healthy environment. Accordingly, we integrate sustainability principles in our business strategy, both in what we produce and how we act. 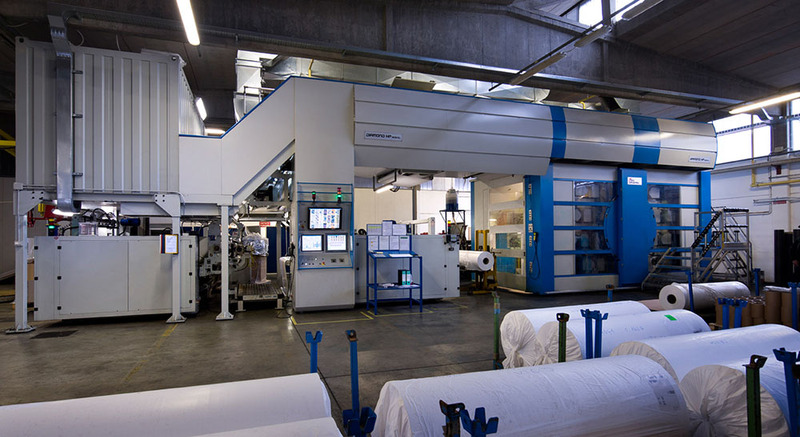 Established in 1979, Poligof has become one of the main backsheet producers. 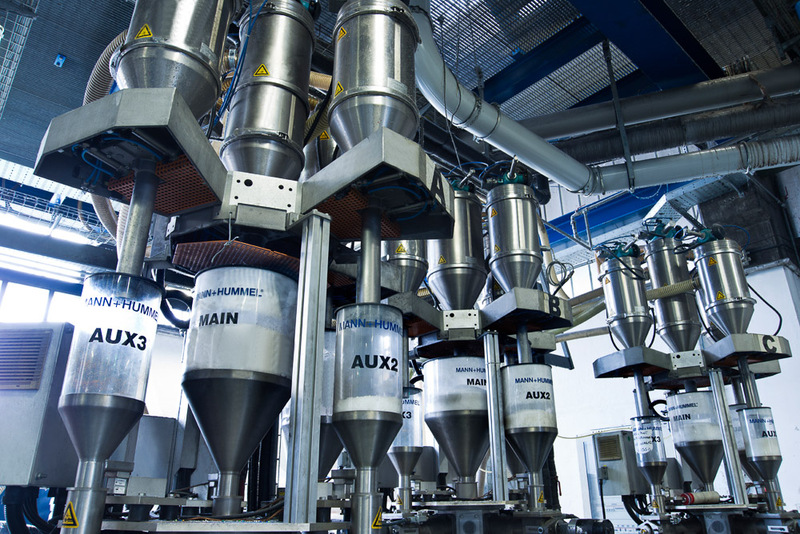 Poligof consolidated its position in this specific area of business, investing every year in new production plants, following its Customers increase. 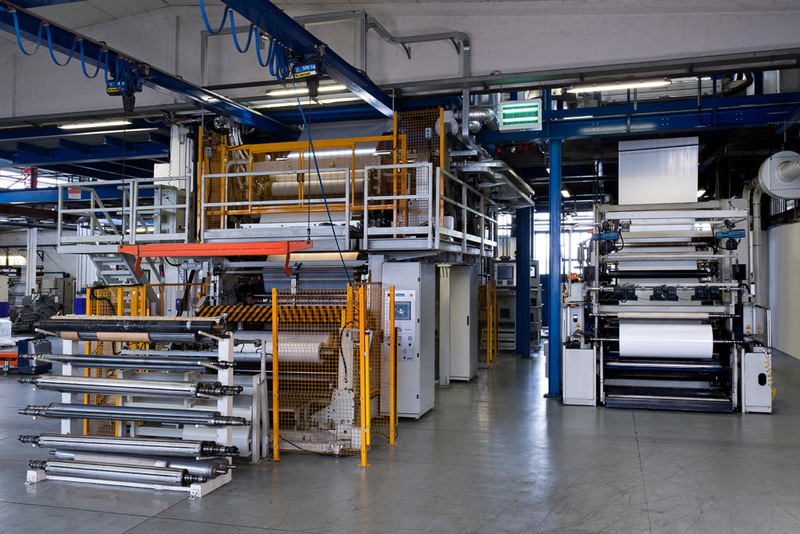 At the end of 2013 Poligof had the great opportunity to acquire an international market leader called Pansac International that has brought to the group new products, production film capacity and know how. 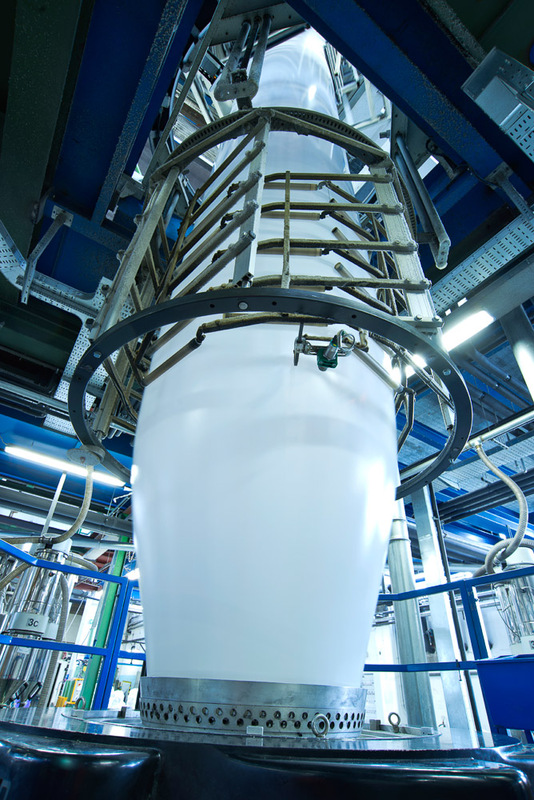 Poligof offers the most comprehensive product portfolio in the backsheet hygiene industry. 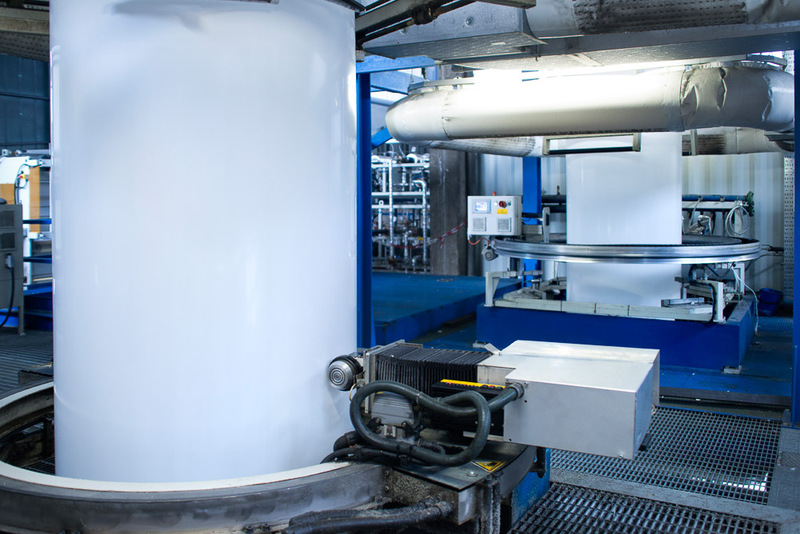 To date Poligof and the new company named Polimira can be considered a market reference for all producers of disposable products. Poligof products are manufacture with the most innovative technologies and we are able to transfer to our Customer innovative products. 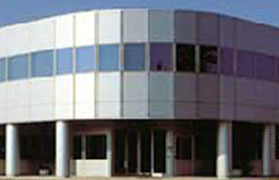 The Poligof research and development center is based in Mira near Venice (Italy) where our technicians are working on the technical management of existing products, as well as developing innovative films or laminates for the future. 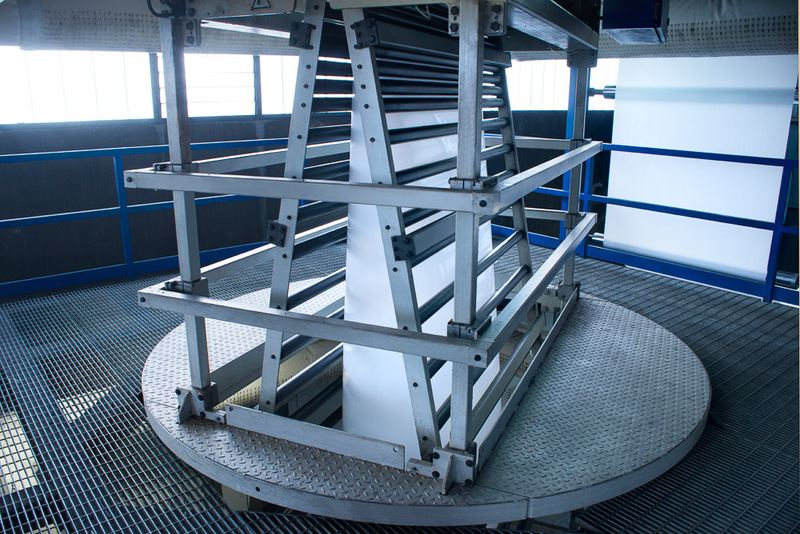 In close co-operation with raw material suppliers, equipment producers and customers, Poligof is able to commercialize new products that represent a market reference in their respective market segments.